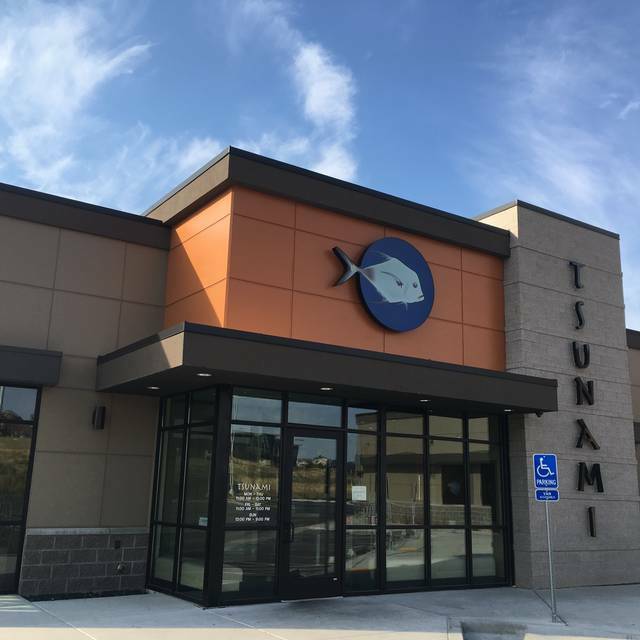 You must make reservations at least 5 minutes in advance of the time at Tsunami Restaurant - Lehi. Complimentary public parking directly adjacent to restaurant. Our Traverse Mountain private event space offers a beautifully appointed room that is perfect for corporate meetings, family celebrations, birthdays, rehearsal dinners and holiday parties. Tsunami offers diners exquisite Japanese-inspired cuisine in an exciting, contemporary setting. From the freshest sushi to amazingly tender baby back ribs, Tsunami’s menu offers choices for the most discriminating palate. Whether you are joining us for a quick business lunch or out for a romantic dinner, our friendly, knowledgeable staff will provide a memorable dining experience. Voted Best Sushi, Best Power Lunch, and Best Upscale Casual Dining in Utah! I love tsunami and we go there quite often. I love the food and the service is always great. Thank you, Mortymama. We greatly appreciate your feedback and will be sure to share it with our staff. Anonymous- We are sorry to hear that you had slow service on your recent visit - we will be sure to monitor our staff more closely to make sure that everyone is receiving the prompt and professional service for which we are known. Food was just not tasty - it was mushy and just not the best sushi we’ve ever had. Our server was new, but was not attentive at all either. Just not the greatest experience. Service was good. Overall the food was fair, sushi rolls were priced a little bit higher then other places and tasted just okay for how busy it was! I would recommend you call ahead for reservations. Excellent food, excellent service. Highly recommended. 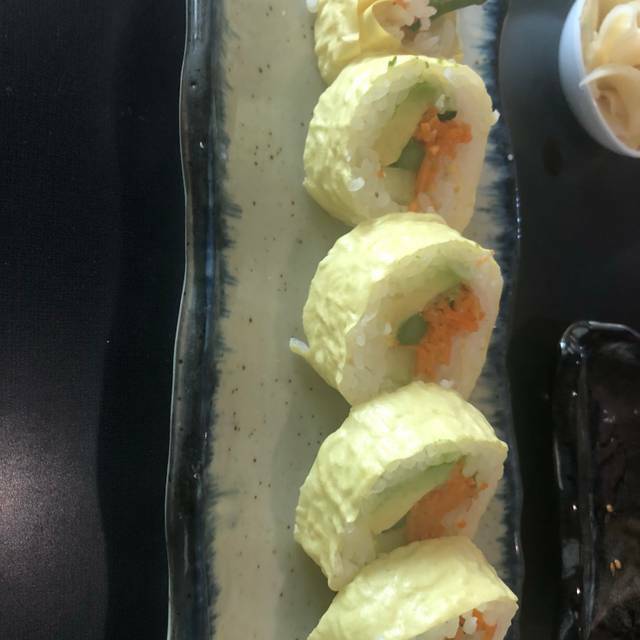 Great rolls! We had a business meeting and enjoyed the meal. I had 5pm reservations. We weren't seated until 5:10 and it was super empty. Then our waitress took a half hour to come help us. She apologized and said she was in a staff meeting and no one told her she had a table, yet other tables were being served. It was disappointing as it was for my mom's 76th birthday and she had to be somewhere by 6:30pm. Lani- Thank you for taking the time to let us know of your disappointing dining experience. We promise to address your comments with our staff, as there is no reason that you should have had to wait 30 minutes for service. We hope that you will try us again - we know you will have a much better dining experience. Heard great things about it so went went last Sunday. Server was ok, but really doidnt explain the menu. Everything had onions which we cant have. 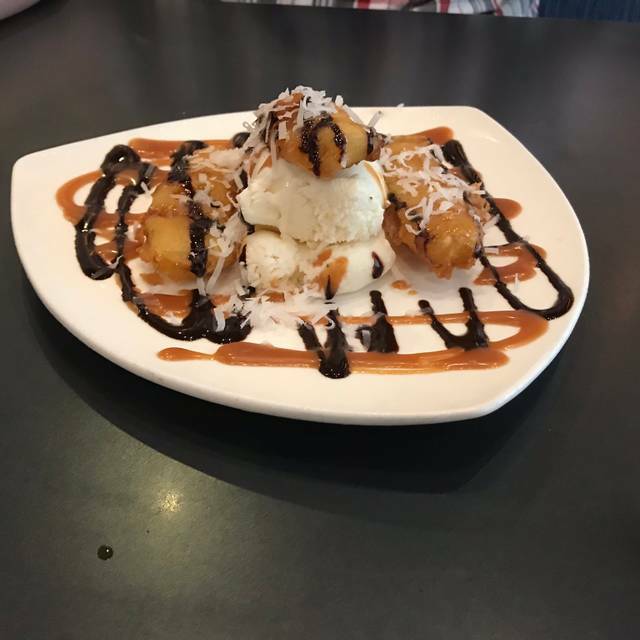 Vegatables were 95% onions, and this was tempura. We asked why no red or green peppers which is normal, and were told they dont have them. Not what we expected and very frustrating. Will not go back. Sushi and appetizer was great. But my entree took forever to come and it came out sloppy and my salmon was super dry. Dear Foodie- Thank you for taking the time to provide us with feedback, and please accept our apologies - not only for the dry salmon but also for the fact that your food was not attractively presented. We will share your comments with our kitchen staff to ensure that we do not make the same mistakes in the future. We apologize that your reservation was not in our system, but hope that you were taken care of promptly by our staff. We hope to serve you again soon. Food was good as usual. Service was good. It’s been a while since we have been and prices have all gone up...significantly. Not a weekly dining anymore. Gonna have to budget our next trip there. Disappointed. Thank you for your comments. We take great pride not only in the quality and freshness of our food, but also in the value that we offer our guests. Remember that if you join our VIP program, you can earn points toward a $25 reward! Our go to sushi place! We love it and trust it!!! Cococabana and Executive are our favorite roles. We then ask our server to choose the 3rd. We are never disappointed. Reservations are a must. This place is always busy during normal eating hours. Thank you for the nice review, Marlene. We greatly appreciate your patronage! 3 of the 4 meals were very substandard for this restuarant. We have all been here several times and have really enjoyed the food. The short ribs were tough and not very tasty. The sushi was not very good. We will try again and hope the food is as we have enjoyed in the past. Joep- We apologize that your last meal at our Lehi location was not up to our usual high quality standards. We hope that you will visit us again - we promise you won't be disappointed! Best place ever. This is the place to go for sushi and everything on their menu is amazing. We made reservations which helps a lot here! Otherwise you will have a long wait! 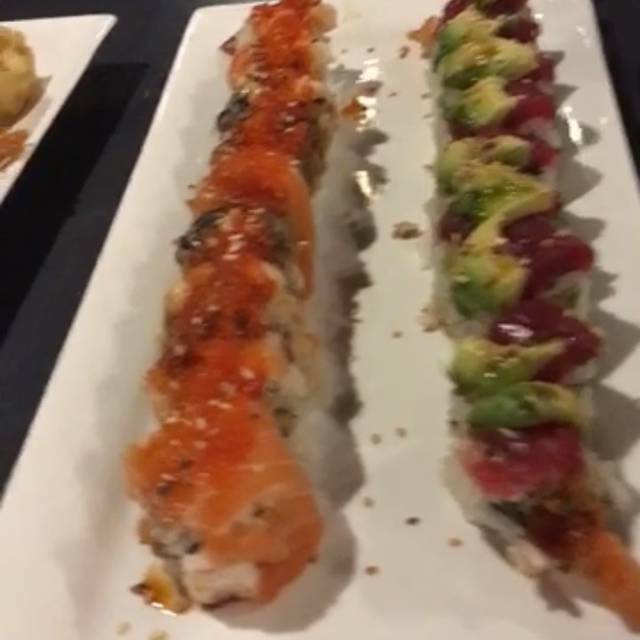 The sushi is always amazing! Thanks for the nice review! Hopefully we will see you again very soon! Waitress was top notch. Executive Suite roll was special. Would definitely go again if I found myself in this area again! The food was excellent, but it took a while for us to get it, service seemed a bit slow. ASDS- While we are happy to hear that you enjoyed your food, we apologize that the service was slow. 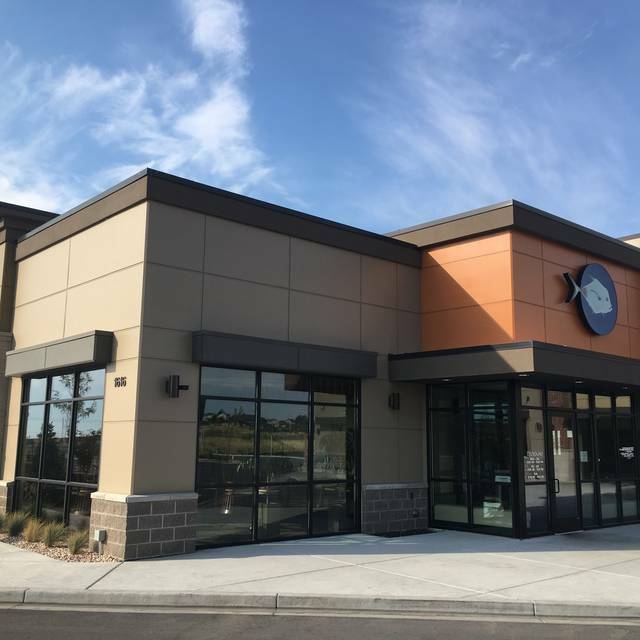 We will be sure to address this issue with our team, and look forward to serving you again soon. Delicious food and drinks. I love the variety of food options. Service was great. Opentable reservations are the way to go. We were seated right when we walked in. Thanks for the nice review Jennifer. We appreciate your patronage! Get a reservation if possible. Especially on a weekend. We had a res and got in 2 minutes after walking in the door. The waitress was super friendly, and able to recommend favorites. Yes, its a little more expensive, but worth it. Also, It's known for fish and sushi but I don't like either. That should tell you how good their other stuff is. Try the short ribs or the pot stickers. Tasty! 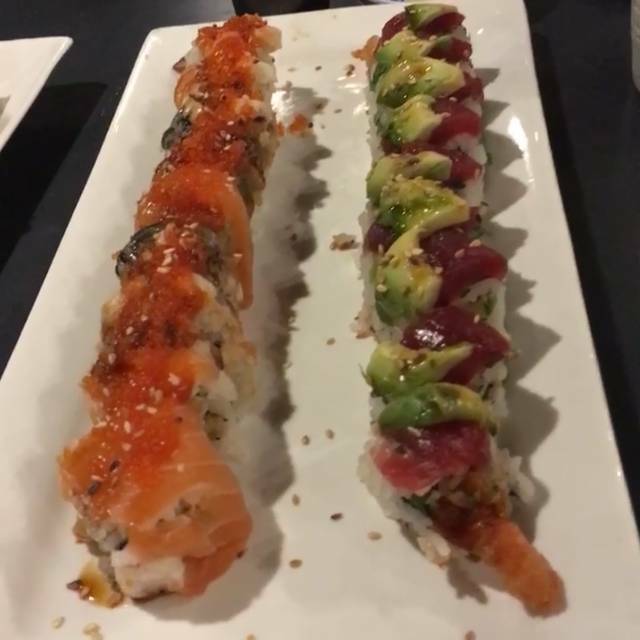 Adam- We agree with you - our non-sushi items are just as good as our sushi, and the Korean short ribs are indeed amazing! We hope to see you again soon! I love this place, my girlfriend and I come here about every other week to eat. Great servers for the most part and awesome food! Isaac- Thanks for being a Tsunami regular. We hope that you have a VIP card so that you are being rewarded when you dine with us! Fly in salad - which means it’s fresh but it was not a great experience. We are sorry that you found a fly in your salad, and hope that you brought the situation to the attention of a manager so that we could correct the situation immediately. Rich, our server, was fantastic! Super friendly, very informative, laid-back and provided a fantastic experience! 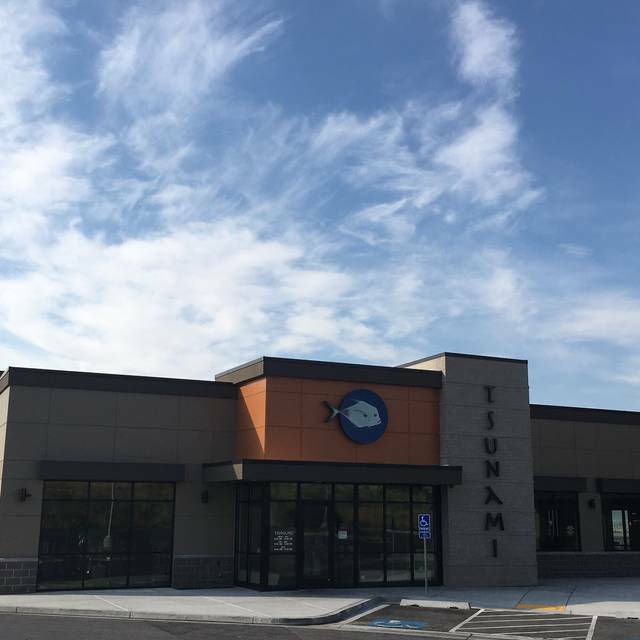 Food, ambience, and overall restaurant experience were as amazing as we typically find at tsunami. Highly recommend this location. Thanks for the nice review, Robert. We will be sure to share your comments with Rich! Outstanding place for sushi. Love it! Highly recommend everything on the menu. We were seated within a minute of arriving and checking in. Our waiter was a busy, and we ended up being there for 2 hours, but we were happy with that and enjoyed our time spent. We waited so long to be greeted by a server that we had to ask the person who checked us in if we even had one! The skewers were awful but the wonton tacos were excellent. It is definitely not worth the long wait on a weekend. There are better restaurants in Salt Lake and with half the wait. I would never go back to Tsunami without a reservation. Our waitress Berlin was outstanding, maybe the best we’ve ever had anywhere. Very knowledgeable and you could tell she cared without being over bearing or intrusive. Great food and the ambience is great. 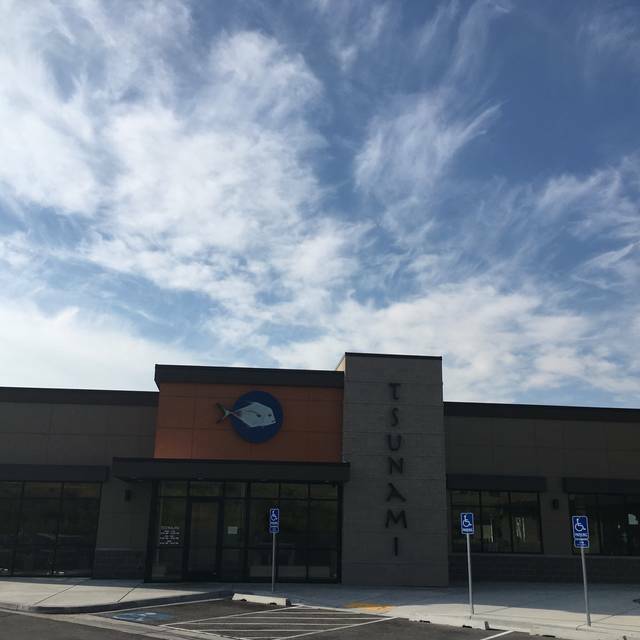 We have enjoyed Tsunami, in fact it WAS our favorite restaraunt in the past, but we have noticed the skewers and teriyaki meats are often over-cooked and dry. We came on Valentine’s Day and the ambiance and food was just not very good. It may be awhile before we come back again. My wife and I went on Valentines Days and had a wonderful evening. The food was delicious and the service was exceptional. It is always fantastic. The food is unreal. The service is top notch. Such an amazing experience. The food was delicious, fast service, educated server on menu choices. Would definitely recommend! Delicious sushi! It was this restaurant that turned me into a sushi fan. I crave it now! 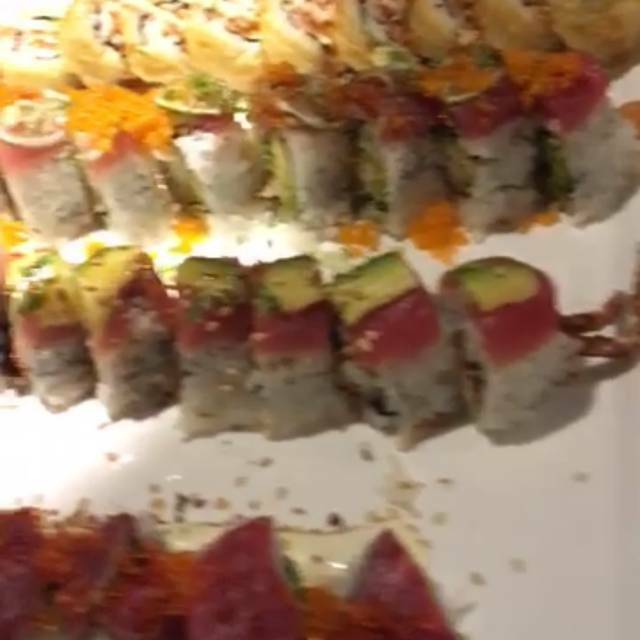 We are happy that you are now a "sushi craver" and look forward to seeing you again soon! We feel we are kindof sushi snobs, and this is one of my favorite places to go! My husband loves the mussels, which is hard to find at other restaurants. We love the huge variety of sushi there is. There are so many choices, we had to start keeping track on my 'notes' in my phone to review and know which rolls we've tried. I love love love Tsunami!!! Thanks Eric! Be sure to try some of our weekly specials on your next visit! Busy as usual, with the reservation I was sat within 5 minutes of the reservation time, good service and good food as usual.